Keeping track of trading activity is really important. 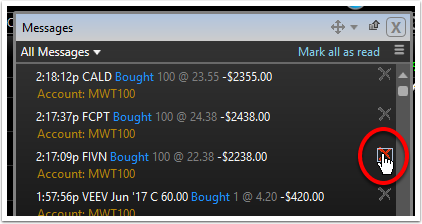 TC2000 Notification tools provide a number of key ways to be informed when trading activity occurs. When trading activity occurs, the Messages button flashes yellow. The number of new messages shows in this flashing menu button at the top right of the screen. The window shows All Messages by default. 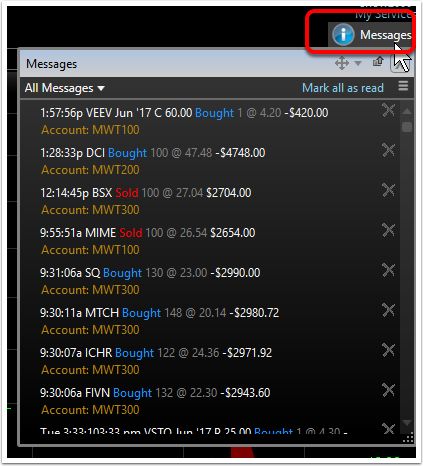 Click the drop down and choose Trade Messages from the menu to open the Trade notifications. New messages have an orange dot. The dots disappear shortly after the window is open to show that your messages have been viewed. 2. 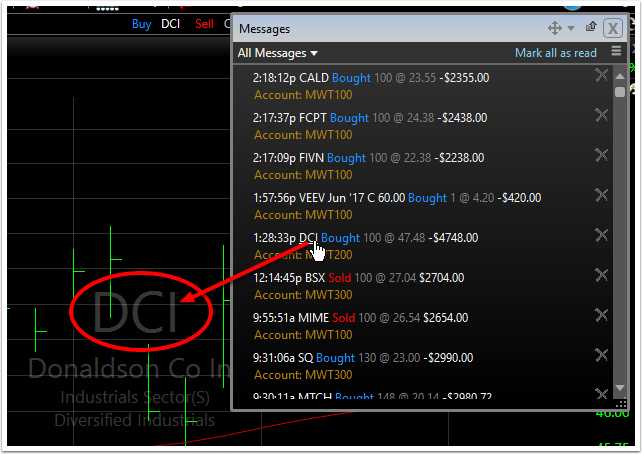 Click the Symbol in an individual message to change your active chart to that symbol. 3. Mark all notifications as "read" by clicking the Mark All As Read link. 4. Click the delete icon to remove a message from the Messages window. 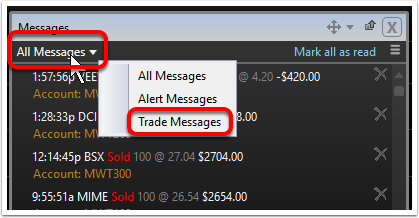 To customize trade notification settings, click the Change Notification Settings icon in the Messages window. 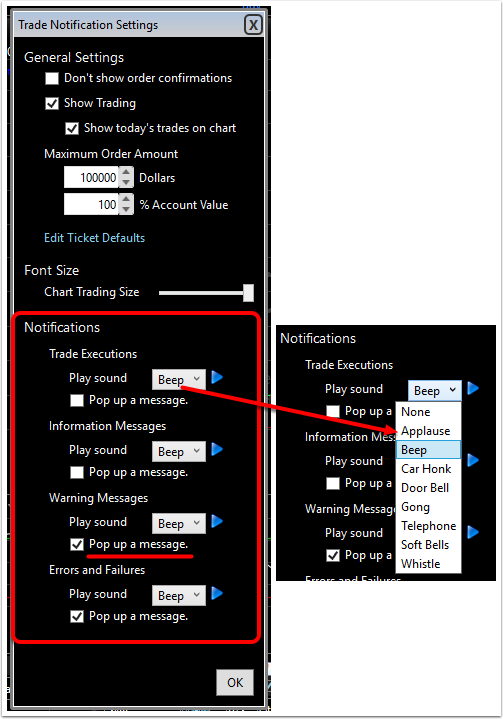 Choose Trade Notification Settings. This opens the Trade Settings editor. In the bottom half of the editor, select the settings desired for each trade activity. 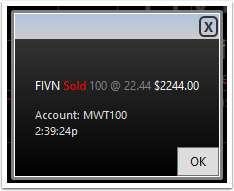 Pop-up Messages appear on the screen (no matter what chart is being viewing) containing the details of the trade activity that has occurred.